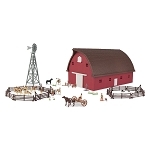 1:64 scale Ertl Farm Country 45-piece Playset. 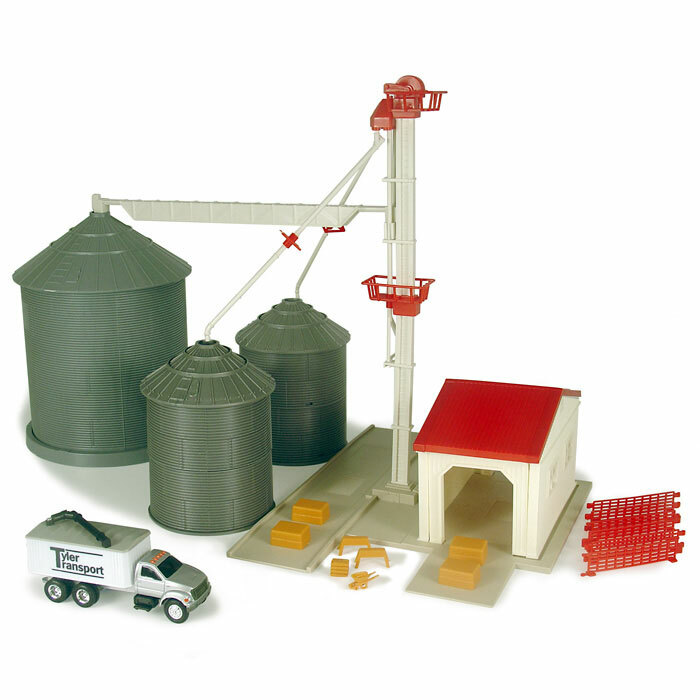 Q: is this grain elevator set at a scale to play with matchbox car size tractors and trucks? 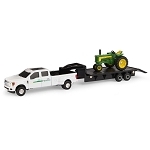 A: This particular item is perfect for matchbox size trucks, cars, and tractors. Q: Is this in stock? Trying to find one in time for Christmas. A: As of 12/8 at 5:37pm CST we have 12 of this item on hand. What a treasure! 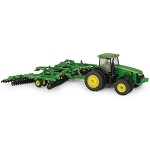 For any child who is a true farmer by heart, this item is a great replica of what grain farming is about. 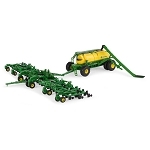 It is a must for a combine user. Great customer service and great prices. I bought this for my grandson for Christmas. 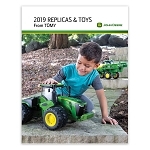 John Deere toys are always well built so I know it will be great. 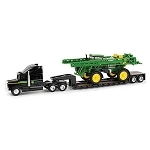 We have purchased many in the past they are manufactured by Ertl they are of good quality. I recommend them. Awesome gift! Perfect for the nephews!